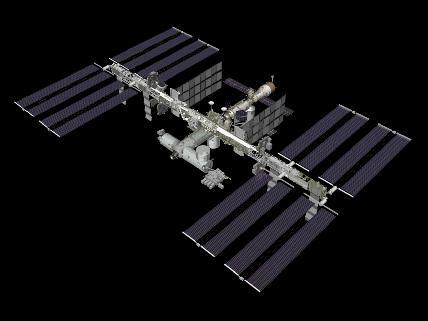 A very high resolution model of the International Space Station in many parts. The download includes an image of the final configuration. This model is provided in its original Lightwave format, which preserves the configuration of the component parts. This model dates from February 2011.